But, it dawned on my recently the real reason why I love it so much. And, I’m going to share it with you. Because I know you are dying to know, aren’t you? I don’t love Fall just because I feel like my house rises up to embrace it in all of it’s warm colors and added textures. 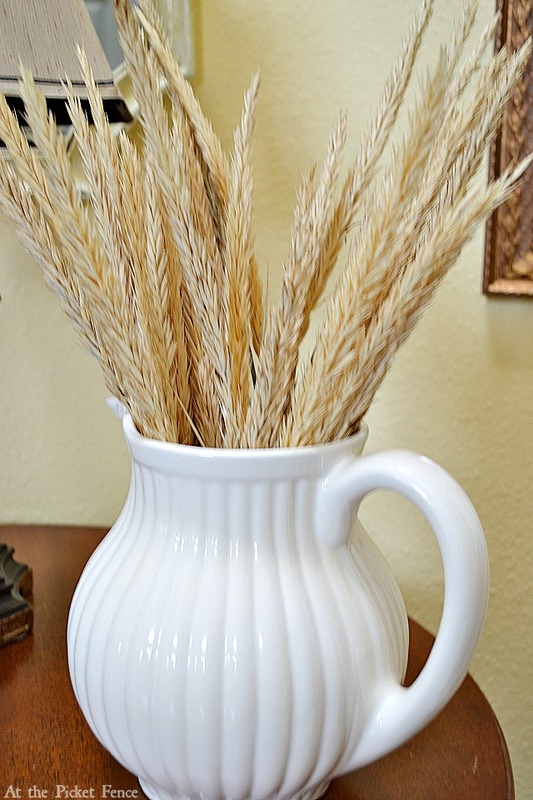 Or how putting wheat in an off-white pitcher literally made my heart go pitter-patter…literally! 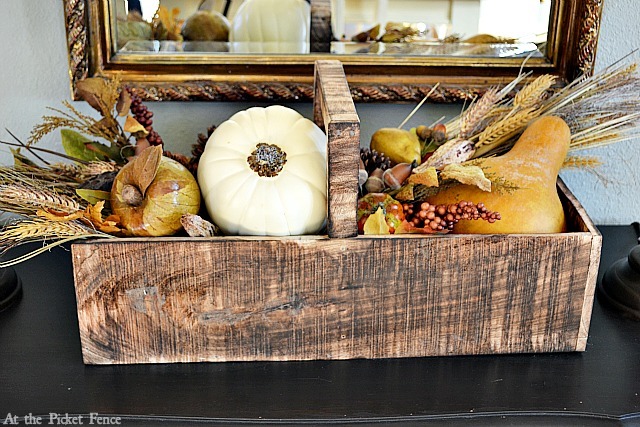 I don’t love Fall just because you can pretty much just toss a bunch of gourds and pine cones and wheat in a wooden container and have it come out looking like Autumn personified. Not that I’m saying I just tossed these in or anything. 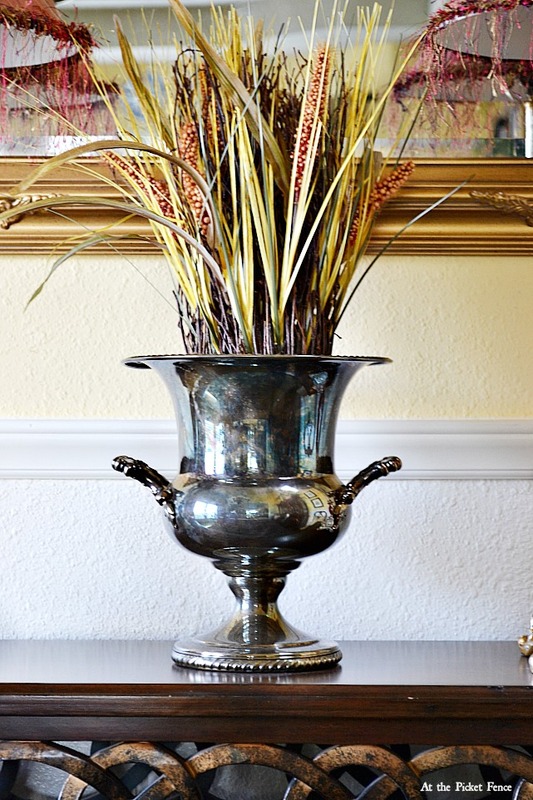 And I love Fall because something as simple as putting a bunch of grassy stuff in a silver champagne bucket can look so elegant. And you stop and think about who will be gathered around your Thanksgiving table and carefully set it with love and attention to detail. Details like Corn Husk Napkin Rings. 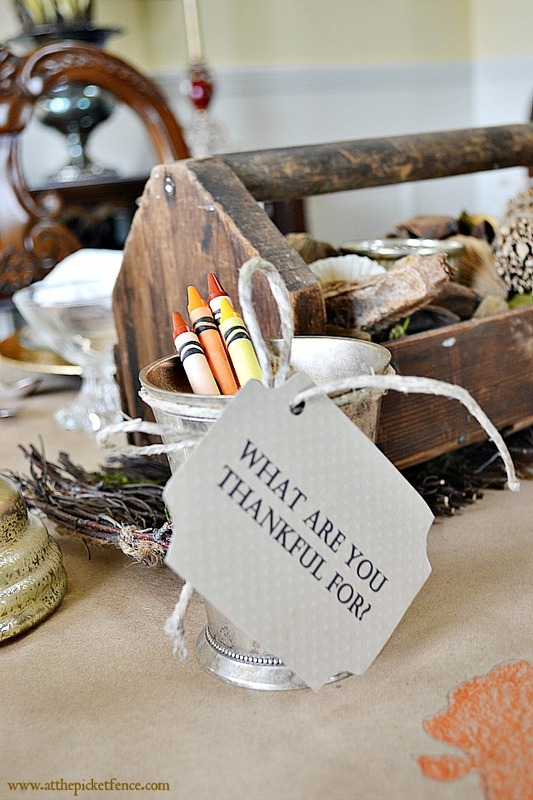 And a butcher block paper table runner where you can write down what you are thankful for…and where your loved ones (for whom you are beyond thankful!) can write down their own sentiments. 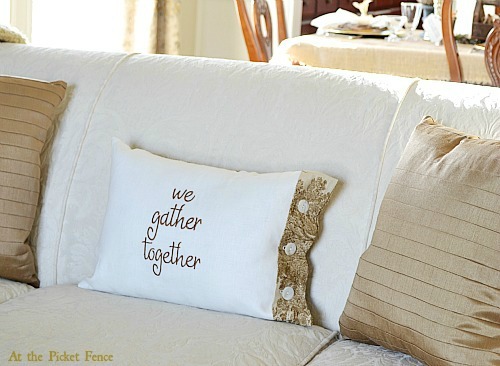 I don’t love Fall just because suddenly there are gorgeous pillows like this one that perfectly capture how you feel about the importance of this time of the year. I don’t love Fall just because I can drive 5 miles from my home and be surrounded by trees and vineyards that are so beautiful they make my heart ache. And, I don’t love Fall just because every morning, as it gets colder and colder, my children and I try to see our breath as we are walking across the school parking lot to their classrooms. We know we look goofy as we exhale as loudly and forcefully as we can…but we don’t care! 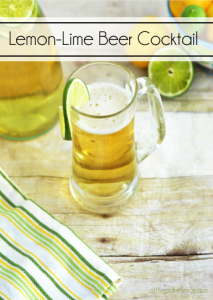 I don’t just love Fall because my favorite scented candle is back on the shelves once more…”Mulled Cider”…$1 at Wal-Mart. I have very expensive and discerning tastes, you know. I love it for all of that and so much more…the smells, the baking, seeing my kiddos run through the corn maze and pick out their pumpkins. But, what I recently realized is that what I really love about Fall is that you get all of those moments, that decorating, those smells, those feelings, those memories and you have the HOPE of Christmas being right around the corner with none of the hubbub or craziness that comes with it. Does that make sense? So, I’m relishing these last moments of Fall. Because, as much as I LOVE Christmas, it always feels bittersweet to me when I realize that the leaves have reached their peek color and will quickly drop to the ground. When it dawns on me that next year, the Pumpkin Patch won’t hold quite the same magic for my kids as it did this year. Well, that’s about enough of me being Miss Gloomy Pants, don’t you think? So, come along with me as I say Farewell to Fall today…and Hello to Christmas tomorrow! P.S. It’s not just me saying Farewell to Fall and Hello to Christmas…check out what our lovely Sponsor and friend, Julie from Redhead Can Decorate , has been up to lately! 23 Comments on "Farewell to Fall in My Home"
Whose vitality leaps in the Autumn. . .
Savoring the last days of fall with you!! I know what you mean about fall and I’m having a hard time thinking about parting with my mantle display. At least I have some beautiful keepsake photos and another beautiful Holiday mantle to create! Such pretty autumnal touches for the season. 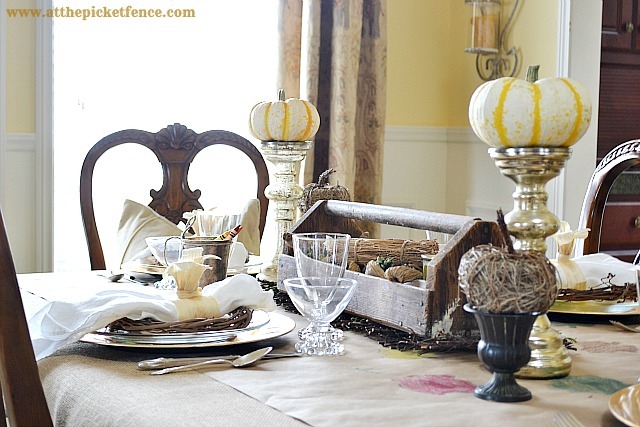 I love fall as well and the inspiration of your home is so appreciated. 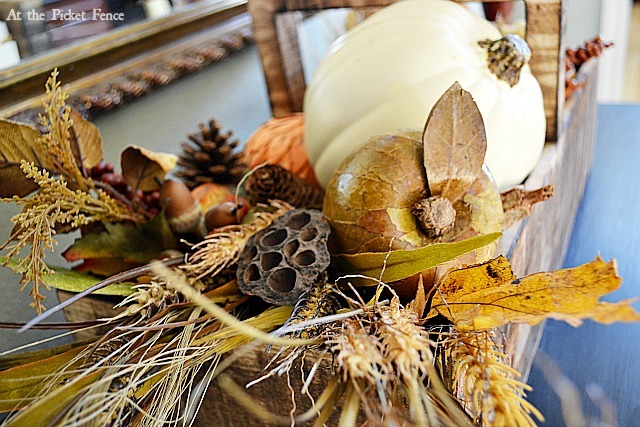 What a beautiful home and lovely thoughts on fall. This post made me stop for a moment and think about what I love about fall and why….thank you for the reflection. What beautiful fall home decor. I just started seriously thinking about Christmas this morning. The new House of Fifty issue came out and while I read it I started to realize just how close Thanksgiving and then Christmas are. Wow this year has flown. I love fall too, but I really slowly start getting ready for Christmas a bit because we decorate so much and I always have projects to do. Fall is my favorite season too, but unfortunately living in Florida has taken the fun out fall. I need to move to another state that I can experience the fall and not to much cold. LOL, not sure where that would be. I enjoyed looking at all your fall decor. Lovely! Have a great week. Lovely thoughts, Vanessa! This is one of my favorite times of the year: teetering on the brink between fall and holiday. You captured that essence beautifully! 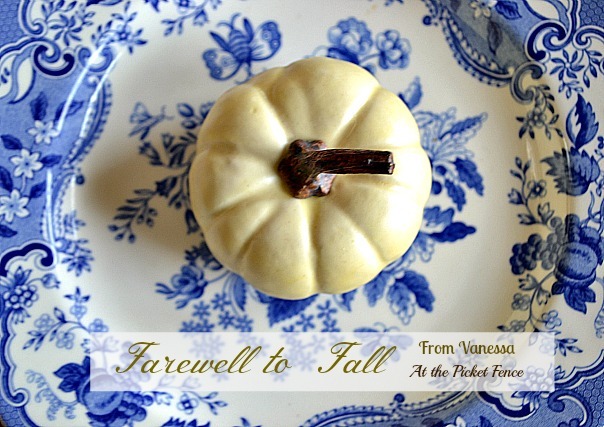 What a sweet tribute to fall as it says goodbye! I love fall’s warmth and colors and smells. I bet you say hello to Christmas in a big pretty way! What a pretty and grateful post to Fall. I think sometimes we rush over Thanksgiving when we all have so much to be thankful for regardless of our situation. But, we can’t help but feel the excitement and anticipation of the coming Christmas time. Oh Vanessa this is such a lovely post. Your photos are just wonderful. 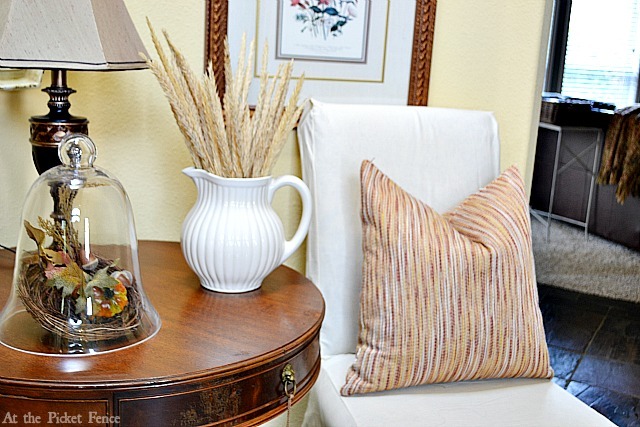 Thank you for the nice shot of the pillow cover too! I guess when you pull out all the Fall decor the first week in September & it’s still in triple digits, you are just much more ready for it all to go ba-bye, so you can play Christmas for a month and half. Well, that’s how I’m rolling these days….lol! Your Fall decorations are truly beautiful, Vanessa! Your home is gorgeous! And I use “home” deliberately. It’s obvious it didn’t all fall together–pun intended. 🙂 But this season of thanks has a magic of its own. “We gather together to ask the Lord’s blessings” as my aunt always sang as she put dinner on. Christmas will come quickly enough. This is a time to savor, too. I am always sad to see Fall farewell us too. But I am ready for Christmas. What a pretty table scape Vanessa. I’m not ready to say goodbye to fall. I am one of those weeping willows who literally grieves when I have to start putting up Christmas decorations. Isn’t that goofy? Yeah, I think so too. Vanessa, great post! I so wish that I loved cold weather. Guess I lived in South Texas long enough to find 70 degree weather at Christmas upsetting; however, the day after I was glad for it to be 70! Fall is my very favorite season too! Great post. 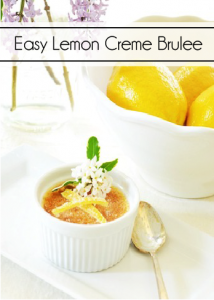 Please stop by the French Hen’s Nest and consider joining. We would be so happy to have you!